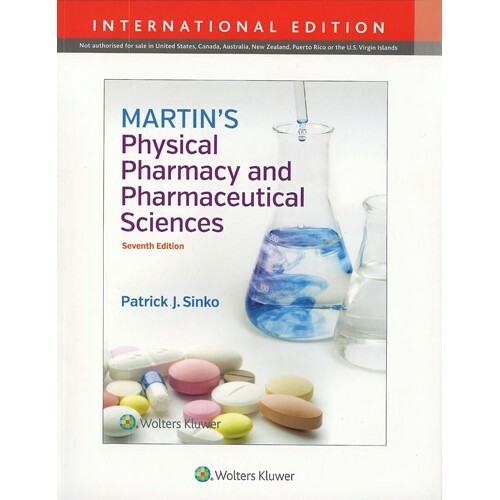 Martin's Physical Pharmacy and Pharmaceutical Sciences is considered the most comprehensive text available on the physical, chemical, and biological principles that underlie pharmacology. 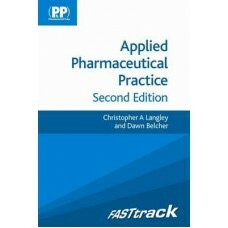 This 7th Edition puts a stronger focus on the most essential, practical knowledge, and is updated to reflect the broadening scope and diversity of the pharmaceutical sciences. 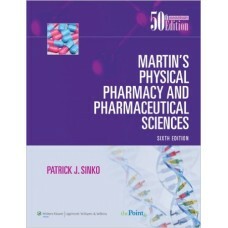 Whether you're a student, teacher, researcher, or industrial pharmaceutical scientist, this respected textbook and reference will help you apply the elements of biology, physics, and chemistry in your work and study. Master the latest knowledge with brand-new chapters on Excipients and Compounding; revised and expanded coverage of interpretive tools, ionic equilibria, biopharmaceutics, diffusion, drug release and dissolution, and drug delivery systems and drug product design; a renewed focus on physical chemistry; and much more. See how physical chemistry principles apply to practice through abundant examples. Focus on the most need-to-know information via Key Concept boxes. For over half a century, Wilson and Gisvold`s Textbook of Organic Medicinal and Pharmaceutical Chemi..
Martin`s Physical Pharmacy and Pharmaceutical Sciences is considered the most comprehensive text ava..
"Martin''s Physical Pharmacy and Pharmaceutical Sciences" is considered the most comprehensive text ..
For over half a century, "Wilson and Gisvold''''''''s Textbook of Organic Medicinal and Pharmaceutic..
Are your exams coming up? Are you drowning in textbooks and lecture notes and wondering where to beg..